Happy Halloween! This month went by frighteningly fast and today is rather bittersweet! I'm ecstatic that it is the best day of the year, but I am also feeling gloomy since it means my favorite time of the year is almost over. I am doing my best to enjoy the last hours of All Hallow's Eve - tonight I will watch Halloween themed movies, carve pumpkins, and hand out candy to trick or treaters! -Visit pumpkin patches - I only went to one this year, my favorite patch at Tanaka Farms! More photos HERE! -Watch as many horror movies or spooky-themed movies as possible via Netflix, on DVD, etc. - Yep, though I didn't really watch anything new that stood out to me. 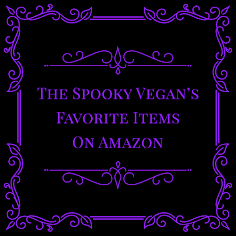 -Smell like Halloween - find some cruelty-free, vegan scents so I can smell like burning leaves - I found some amazing scents this year! I did a post on this HERE! -See some new horror movies in theaters - unfortunately I only saw the Blair Witch sequel, which was disappointing. The only other one I wanted to check out was Ouija: Origin of Evil since I like director Mike Flanagan's other films Absentia and Oculus. -Go to a haunted house, haunt or hayride - I went to Halloween Horror Nights Hollywood at Universal Studios and Delusion's His Crimson Queen immersive play (my review). -Try new vegan autumn recipes - I made these adorable Halloween Stuffed Peppers! -Find some creepy-cool new goodies on Etsy - I found yummy scents from some sellers on Etsy, but unfortunately did not purchase any. -Eat as many pumpkin-based foods (that are vegan) as possible - I pretty much ate only pumpkin-based foods this month, mostly from Trader Joe's and Sprouts! -Send Halloween cards to friends and family - Done, and with the new jack-o-lantern stamps, too! -Drink apple cider/pumpkin tea - I bought some Pumpkin Spice Almond Milk (tastes like pumpkin nog!) and some Pumpkin Harvest cold-pressed juice (yum!) from Trader Joe's, along with some apple cider. No pumpkin tea, though, it is still too warm here. -Score some cute new Halloween clothes or accessories - I got a bunch of new cute tanks/tees from Target! -Bake muffins, bread, scones, cookies, etc. in autumn flavors (pumpkin everything!) - I made some of my fave pumpkin chocolate chip cookies and some pumpkin muffins! YUM! -Make creepy and/or creepy cute Halloween foods - The only one I made was the Halloween Stuffed Peppers. -Wear scarves, boots, sweaters (quite the challenge in SoCal) - It was still too hot, so I did not wear any of these, wahhhhhh! I hate SoCal. -Complete a Halloween craft project - The Occult Activity Book Volume 2 had a craft where you could make your own witches out of paper! So cute and fun! 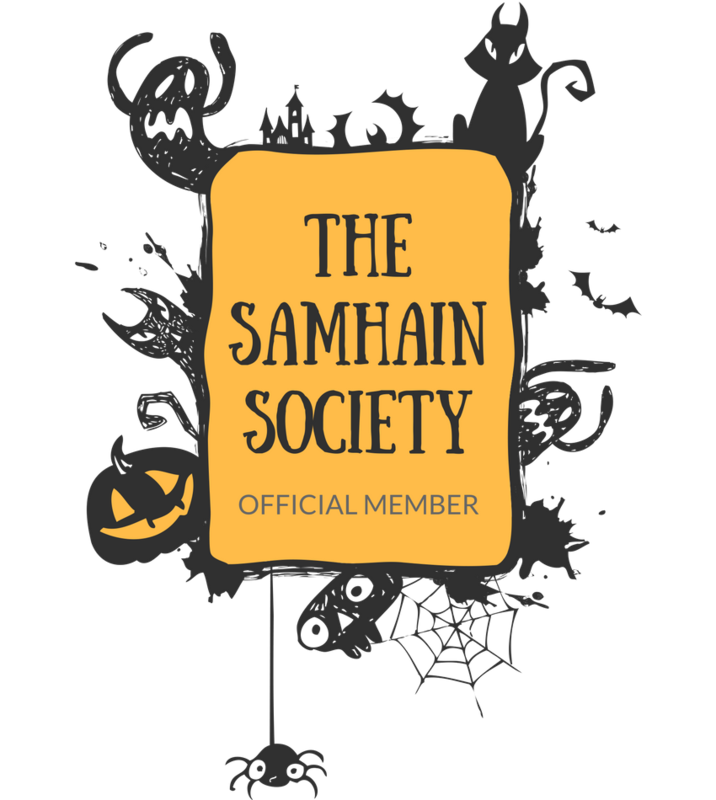 -Watch old school Halloween-themed movies, TV shows, specials, etc. that I may not have seen yet - I watched shorts and some rare Halloween movies I hadn't seen before! Most of these are on my list of movies set during Halloween! -Hit up the big box stores for Halloween goodies - I went a little overboard at the beginning of the season, and hit up Homegoods, Michaels, Target, Big Lots, Marshalls, Cost Plus World Market and others multiple times! -Make my home smell like pumpkin spice 24/7 with essential oils - Done! -Buy a new cozy Halloween blanket - I got the super-soft spiderweb blanket from Target, it is so cozy! -Visit a place that actually FEELS like autumn, where I can crunch in the fallen leaves and feel a cool autumn breeze - I didn't go anywhere this October, boooooo. -Carve pumpkins - Yep! It's one of my favorite Halloween activities! -Decorate my front yard - We have strict (stupid) homeowner association rules, so I didn't want to chance anything - I did put up some window clings in the front windows and put pumpkins by the front door, though! -Visit some historical cemeteries - I didn't get to do this, though there are a few old cemeteries in LA I want to explore more and I did visit the Forest Lawn in Glendale, which isn't too shabby. -Host a pumpkin carving party or horror movie night - I didn't do this either, I just ran out of time. 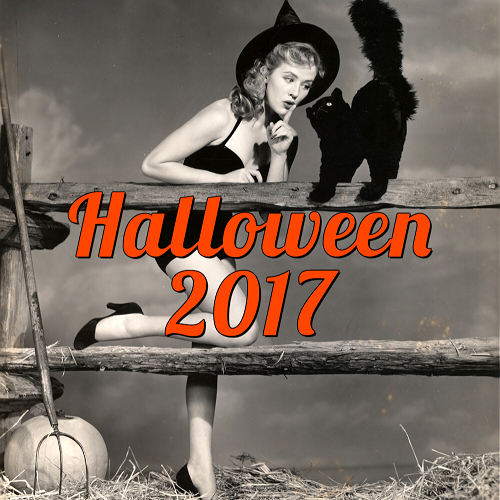 -Crank up the Halloween music - I listened to a few mixes here and there, but not as much Halloween music as I normally listen to. -Hand out vegan candy to trick or treaters - I plan on doing this tonight! 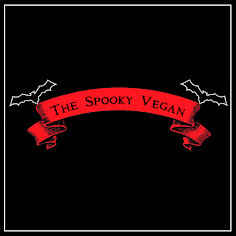 I put together a list of 10 Vegan Candies for Trick or Treaters for your reference HERE! -Come up with a costume to wear on Halloween night - I don't really have a costume, I'll probably just throw on some witchy clothes and witch hat to answer the door and hand out candy! Or I'll just throw on my bat costume from last year. -Decorate the house even MORE than usual - Done! There are so many pumpkins this year! 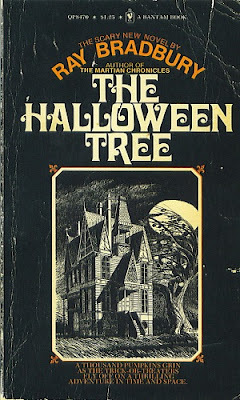 -Read The Halloween Tree and other Halloween-themed stories/books - I didn't read as much as I would have liked, though I did read the classic The Book of Hallowe'en by Ruth Edna Kelley, which was originally published in 1919, and I also revisited some boo-tiful books with Halloween cover art! -Watch Halloween cartoons - Yep, all the old faves, including The Simpson's Treehouse of Horror and Disney's Halloween Treat! -Paint my nails orange and black - I had them orange and black all month long! -Go to a Halloween-themed play, concert, etc. - I went to the interactive play Delusion (seriously one of the best immersive Halloween events - check out my write-up of the event). -See the Halloween display at Roger’s Gardens in Newport Beach - I went opening weekend (see pics)! -Roast pumpkin seeds - Deliciously done! Our pumpkins yielded a lot of seeds, so I made both savory and sweet varieties of pumpkin seeds. -Complete the 31 Days of Halloween - I was out doing lots of events so I wasn't able to blog every day, but I did post at least three times a week. I think they were quality posts, too, quality over quantity, so I feel accomplished! What items on your Halloween/autumn bucket list did you complete? 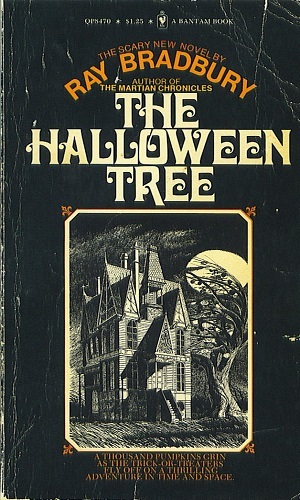 What are your plans for All Hallows' Eve? Wishing you the spookiest of Halloweens! Is that your cat? It's cute. I understand the frustration of being in a place where it doesn't feel like autumn -- I'm in Florida, hate it here. Hopefully I can move soon. Did you see the show "Stranger Things" on Netflix? You might like that one. Happy Halloween! That's OK - I live in Michigan with 2 huge maple trees in the front yard and those darn things have barely begun to change color, let alone drop any leave I can play in! I'll be raking leaves at Thanksgiving again!